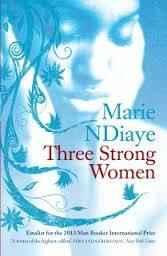 Three Strong Women by Marie NDiaye is a novel of (unsurprisingly, perhaps) three parts; less expected is the fact that the central character is a woman in only two of them. All three tell of characters suspended between France and Senegal: NDiaye herself has a French mother and a Senegalese father – a father who returned to the continent when she was only one year old, perhaps explain why her own characters’ lives seem determined by their journeys between these two places. As each section in some way explores the relationship between Europe and Africa, so too does it examine the relationship between a man and a woman, relationships where communication is often fractured and failing. In the first section Norah, a lawyer, leaves the life she has created for herself in France – her recently moved in lover remains behind to look after her daughter along with his own – to visit her father at his request. Once a powerful man who bullied those around him, he is reduced to a feeble glutton who takes every opportunity to fill his face with food. Norah is most worried about her brother – while she and her sister were brought up by her mother in France after her parents relationship broke down, he was taken by her father to be raised in Senegal. She soon discovers that her brother is, in fact, the reason for her father’s call – he is in prison, awaiting trial after confessing to the murder of her father’s lover. In the second section the viewpoint moves to that of kitchen salesman Rudy. He met his wife, Fanta, while teaching in Senegal but, after an incident which brought his classroom career to an end, selfishly convinced her to come to France, though he knew she would be unable to work as a teacher there. He hates his present job and is aware that his marriage is in danger of falling apart – so much so that he plans to collect his son and take him to his mother’s for the night so his wife cannot leave him – but he feels powerless in the face of his problems, reacting only with an uncontrollable rage which exacerbates every situation. In the final section we return to Senegal and follow the journey of Khady, a young woman attempting to reach Europe after her deceased husband’s family tell her she must go. Abandoning the idea of crossing by sea as too dangerous, she is befriended by a young man, Lamine, who has decided to undertake the journey by land. The three sections have the slightest of connections: Norah’s father has made his wealth through a holiday village in Dara Salam, a business Rudy father was also involved in; Khady is first seen as a servant at Norah’s father’s house, and is told to contact Fanta should she make it to France. These connections, however, are not important to our understating of the stories, which could easily be read as three novellas. Placing the three parts within a novel seems intended to encourage the reader to develop their own connections. Khady has no relationships left – her husband is dead and his family do not want her. The relationship which seems the most loving is that she develops with Lamine as he demonstrates his selflessness again and again – however, this is the relationship where the greatest betrayal takes place. The three sections may not cohere or even resonate particularly powerfully, but the writing in each of them is superb. The central section, in particular, where NDiaye conveys Rudy’s frustrations with great skill and sympathy, is utterly absorbing. 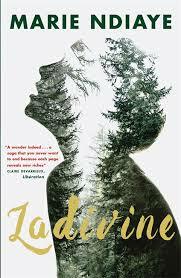 She is clearly a writer who can inhabit different characters, different worlds, with ease. You are currently browsing the archives for the Marie NDiaye category.